Crepes are probably my families favourite thing to eat. My kids when I make them graze on them all day, breakfast, lunch and dinner. They LOVE them. And I make loads of them, this recipe makes 10, my kids would be shattered if I only made 10. Yesterday before I started writing this recipe I wanted to test it one more time to ensure it works, I only made 10, my kids ate them but I got the complaint of 'is that all you made'. For this site I have provided the recipe, but in truth you will only use the recipe 10-20 times maybe. Eventually you will be like me throwing egg, flour and milk into a bowl and mixing it together, you stop adding ingredients in, when you have reached the consistency you like. Croatians call crepes 'palacinke', and I don't know anyone that can't make them, it is the go to dessert for many households in Croatia, because of the simple ingredients used to make them. As for the fillings, if I'm going sweet, I love lemon and sugar, that is my favourite. My kids love nutella. My husband loves his Croatian plum jam. It is endless the amount of things you can do with a simple crepe. I use this recipe to make the Smoked Salmon Pancake Rolls on this site. I love them filled with a sweet ricotta mixture that I bake. I also use crepes instead of cannelloni shells when making my spinach and ricotta cannelloni crepes, and most recently I use crepes in my savoury crepe recipe. So a simple crepe can be sweet or savoury. 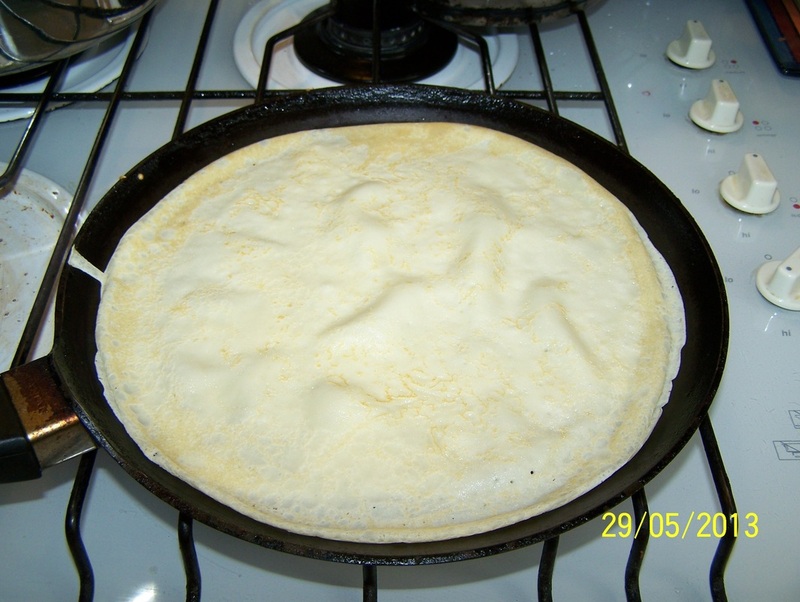 You need two things to make them, one is a crepe pan, I love my scanpan crepe pan, which I have had for years, but you can buy any crepe pan. 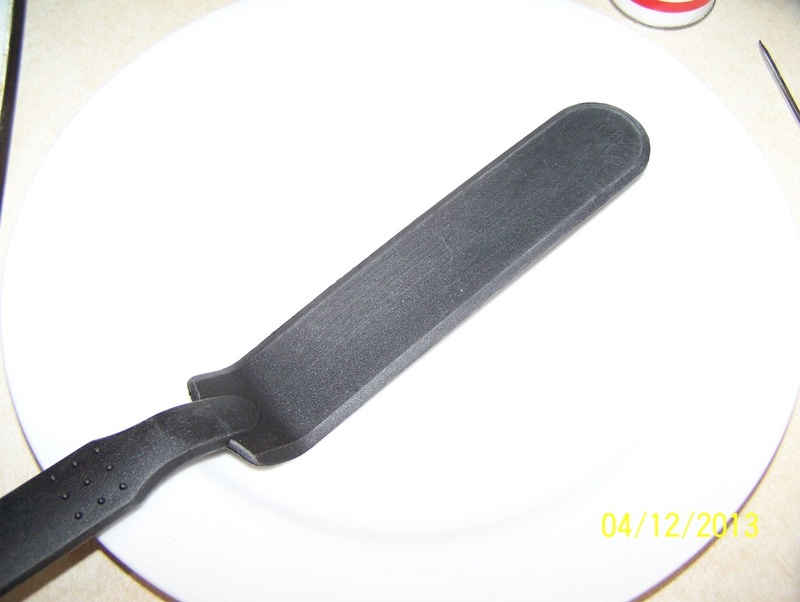 And two, as I can't flip a crepe like my husband can, I use a long thin plastic icing spatula to assist my flipping. You slide it under the centre of the crepe and flip it over, takes a few practices, but eventually you get it. If it is your first time to make crepes, ladle 3/4-1 ladle full of mixture into the crepe pan as they are very thin and can be hard to flip without tearing them, then reduce the mixture to 1/2-3/4 ladle full when you have got the flipping technique mastered. Make the pancakes: Place the eggs in a mixing bowl, add the flour. 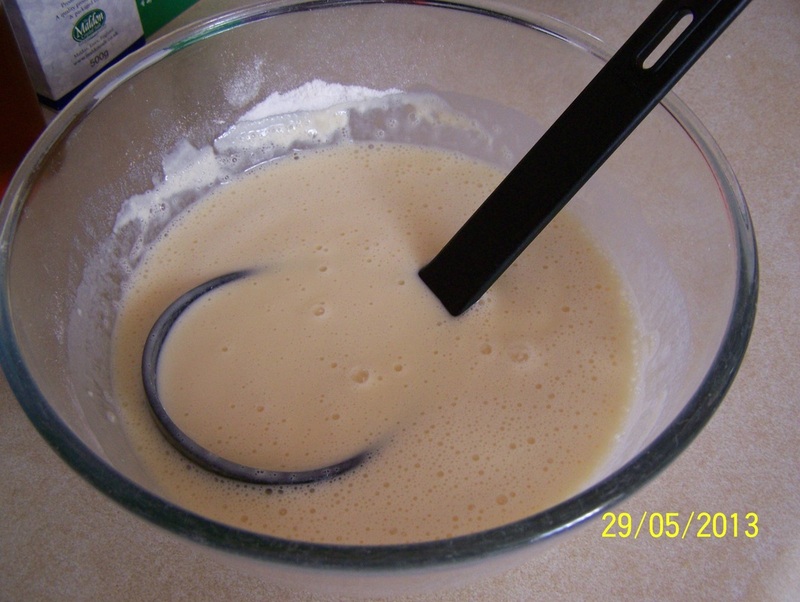 Add half of the milk; using a whisk, whisk until your mixture is lump free. Keep adding milk slowly until all the lumps have disappeared, then add remainder of milk, mix through. It is easier to get the lumps out, if the mixture is thick, so don't add all the milk in straight away. Leave to stand for 30 minutes. Strain the mix through a sieve to make them completely lump free-I however never do, more cleaning up, and a few tiny lumps don't make a difference. Once you have made crepes a few times, you won't even use a recipe, it is something that is done by feel- the consistency determines how much of what ingredient is needed. 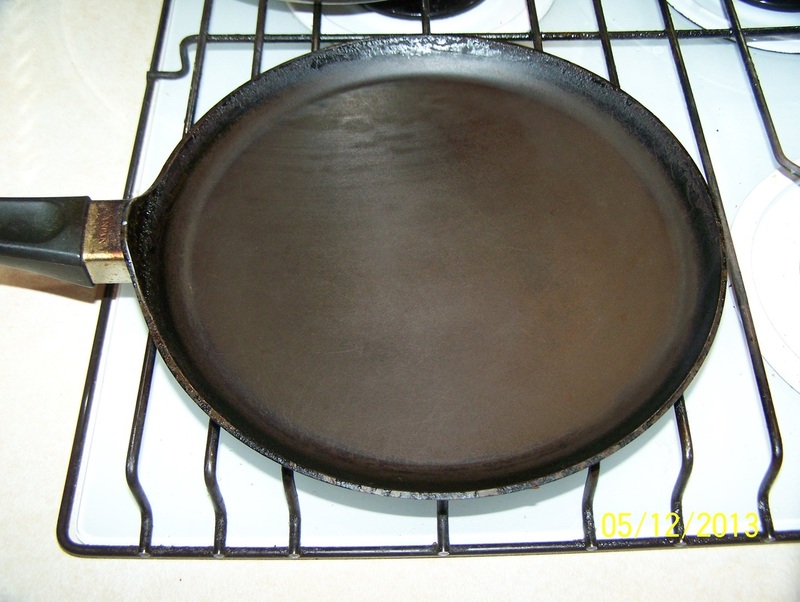 Heat a 20cm non stick crepe pan (or frying pan) over medium-high heat. Spray the pan lightly with cooking spray. Using a ladle, pour 1/2-3/4 of a ladle full into the top edge of the pan, quickly tilt your pan around so the batter covers the entire pan. Keep swirling it around until the mixture stops running. Cook for 30 seconds to 1 minute. The sides of the crepe will start to colour and will lift away from the side of the pan so you can slide a long plastic icing spatula under the centre of crepe, that will help you flip the crepe. The crepe should be lightly coloured. Cook for a further 30 seconds, until lightly coloured. Repeat with oil spray and remaining batter. For me the first crepe is your tester, it rarely turns out great, as the pan is usually not hot enough. It is where you see if your mixture is too thick, if yes, add more milk, if it is too thin, add more flour, if your pan wasn't hot enough it will now heat up. 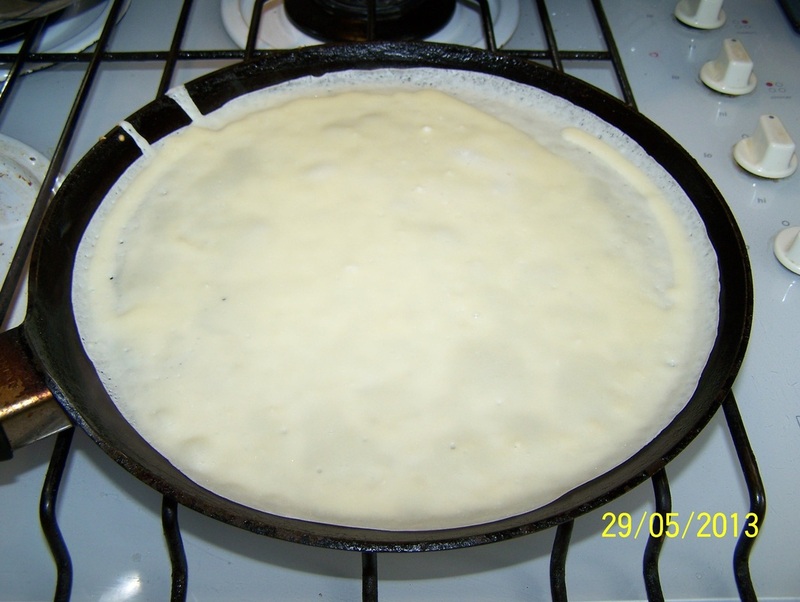 The batter is only supposed to cover the base of the pan, so if you had too much mix with 3/4 of a ladle full, use less, or more if it wasn't enough-you can't have holes in your crepes. Now make a sweet or savoury crepe, whichever you prefer.